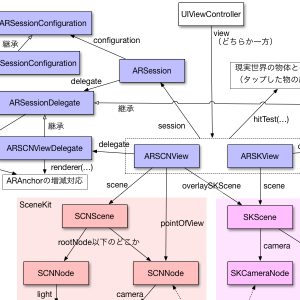 I usually write posts in Japanese, but I couldn't find many Apple ARKit videos even in English so that I decided to write this post in English. I uploaded a video and sources of ARKit apps. I think ARKit is very easy to use. Though ARKit has only some simple APIs so far, it works very well and the performance is awesome. Since the captions of the video are written in Japanese, I added a brief explanation for each chapter. The first ARKit app I've ever made. 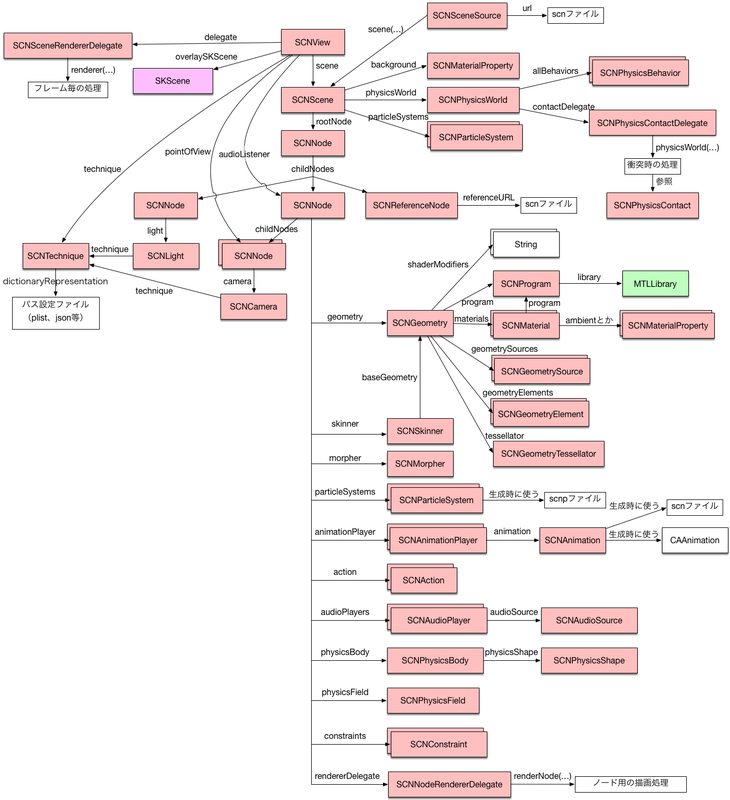 I just added 3D models to ARSCNView. It works well as long as I don't move the position of the camera. If you want to know what happens when you move the camera, look at the next video. 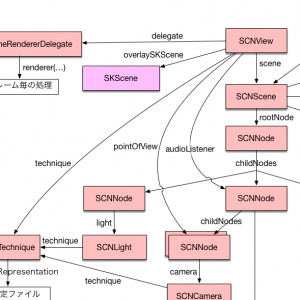 This app uses ARPlaneAnchor to fix 3D models to the real world. You can walk around the models. This app also uses ARPlaneAnchor. You need to move around the camera to help ARKit recognize the size of a plane. After the adjustment, you can see 3D models hide behind a real object. I also tried ARFrame.lightEstimate.